A standup paddle board adventure company. Let us show you another side of the beach. Experience the beautiful waters of Okinawa on a standup paddle board. Take a lesson with our trained SUP guides and find out how easy it is when done correctly. It's the little things that make a big difference. Join our certified tour guides for an adventure on the water and see the beauty of Okinawa. All of our tour guides and instructors have completed certification courses that have trained them in ocean safety, water rescue, and paddling techniques. Our SUP yoga and SUP fitness instructors have completed safety training in addition to training for leading effective and safe classes on the water. 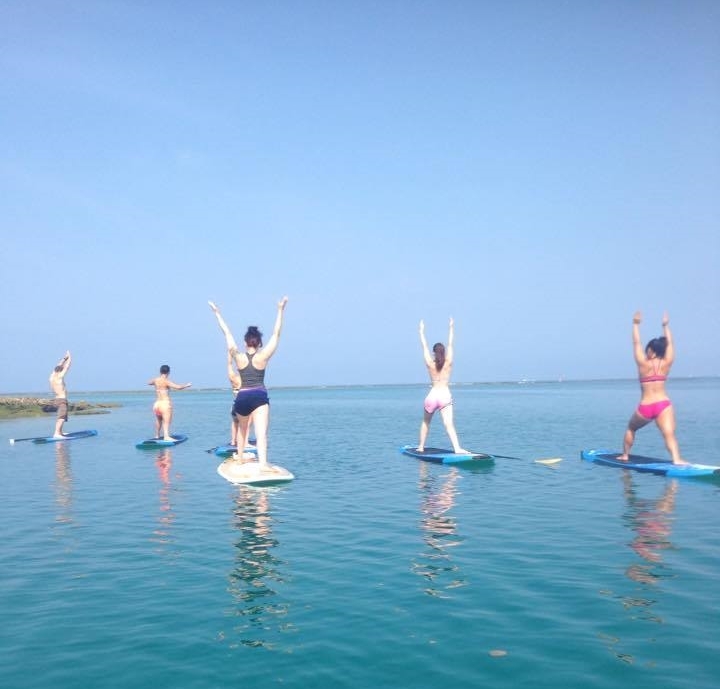 It's a fun time and an amazing experience to take your yoga or fitness session on the water. Join us and find out how accessible it really is. Just bring yourself and positive attitude, and we'll lead you through the rest!